North Queensland audiences are in for a treat the last Friday in April as two revered performers bring A Music Odyssey: Songs from Europa to Mornings In The Arena as part of the Mornings Around The World series for one special morning of live music. 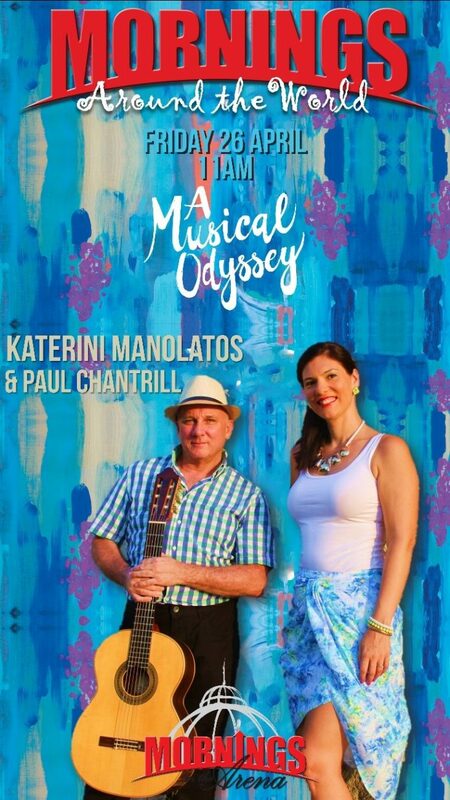 Australian-Greek Mezzo-soprano Katerini Manolatos and guitarist Paul Chantrill will take audiences on a journey through the music of Greece and the world, sharing what contributes to the multicultural landscape of Australia. Katerini is an acclaimed vocalist. She studied classical voice at the prestigious Queensland Conservatorium of Music, and has a Masters Degree in Music Therapy at the University of Queensland, as well as an Associate in Music Voice from the Australian Music Examinations Board. Born in Brisbane, she is a prolific performer, and has travelled to Greece on several occasions to perform. Locally, she has been part of the Antipodes Festival (Melbourne), the Brisbane Panayiri, Cairns Greek Festival, Gold Coast Greek Festival and the Music Alive Series for the Queensland Greek Orchestra. She is an active member of the Cairns music community and has had roles in Miss Saigon, and Masterclass to name a few. Paul Chantrill started playing guitar at the age of nine and hasn’t stopped since – by the age of 15 he was teaching others how to play. He studied under the principal lecturer at the Queensland Conservatorium of Music and played in a classical guitar duet for over a decade. 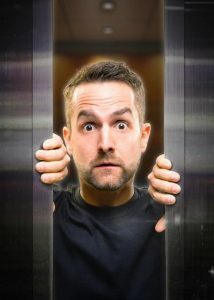 Musically, Paul has had a diverse career. He has sung with choral groups throughout Australia and New Zealand. His first love though is composition and exploring world music. He is passionate about nature and incorporates his love of this into his own compositions. A Musical Odyssey: Songs from Europa combines pure elements of voice and guitar to reimagine the music of Greece. It allows these accomplished musicians to explore the music from a new perspective and share it with audiences, shaping new perceptions. Following on from their Cairns concert, Katerini and Paul will take their show on tour to Brisbane, Sydney and Melbourne.